Outlander minis sets now available for preorder! I’m gearing up to dye the orders that I got for the Outlander ADVENT sets, and am now taking preorders for Outlander minis sets (24 minis). These PREORDERS will run through October 3rd. These minis sets will ship AFTER the ADVENT kits are knit up and the colors revealed, in the first week of January. The Advent kits are 25 colors; these minis sets will be 24 colors, with the 25th color available as contrast to the set; all colors are a mystery until the ADVENT kits are knit up, but you can follow their unveiling each day during the Ambah KAL beginning December 1st. Please note that there will be additional sets of Outlander minis available at my spring shows, and in my online shop in the new year, so this isn’t your only chance to get a set (but it’s the only chance right now to guarantee your set on the base and size of your choosing). Indie Untangled Trunk Show Yarn Preorder and NEW Website! It’s been a crazy summer, and I can’t wait for October to roll around… That chill in the air, the changing colors, apple cider donuts, RHINEBECK!!! 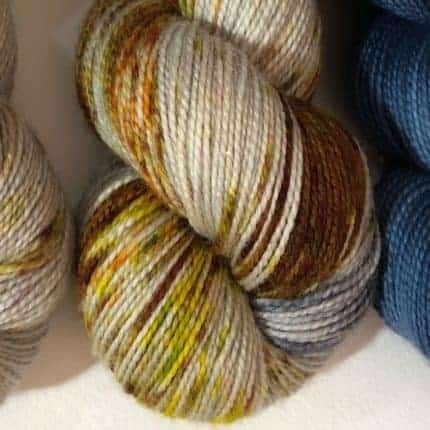 With the end of summer I alway start thinking about Fall and Halloween, and with Halloween on my mind I just dyed up a color for my Harry Potter Club members called Deathday Party… As soon as the skeins were out of the dyepots I knew that I needed to dye up about a million more skeins in this color. 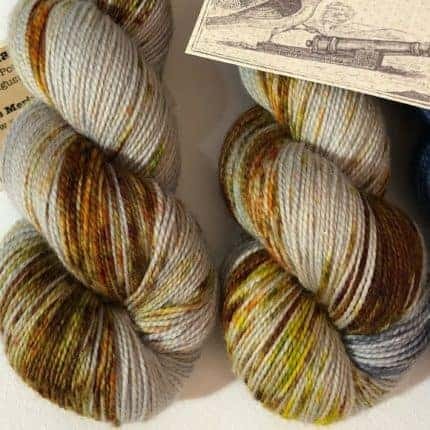 It’s a lovely ghostly silver background color with speckles of yellow, orange and mossy green; the color screams FALL and HALLOWEEN and RHINEBECK all in one breath, and this is the color that I’m offering up for preorder this year as my Indie Untangled Rhinebeck Trunk Show color. 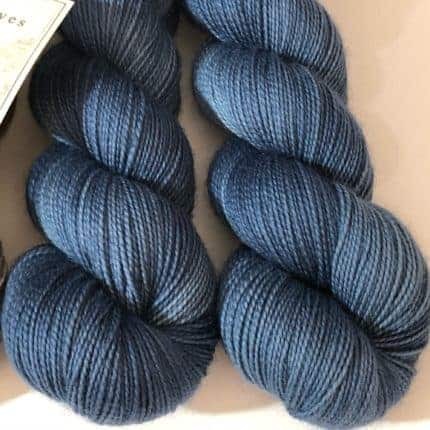 I’ve also created a solid contrast color to compliment Deathday Party, called The Deathly Hallows, and both skeins are on my brand new website now for preorder! TICKET HOLDERS: if you are coming to the trunk show on October 19, you may purchase skeins that can be picked up at my booth during the show. I will have these orders packed and ready to hand off to you at the event. 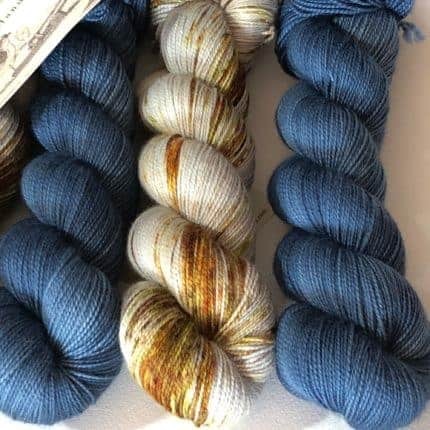 SHIP IT TO ME: if you are not able to attend the trunk show, you may purchase skeins that will be shipped just prior to the show. 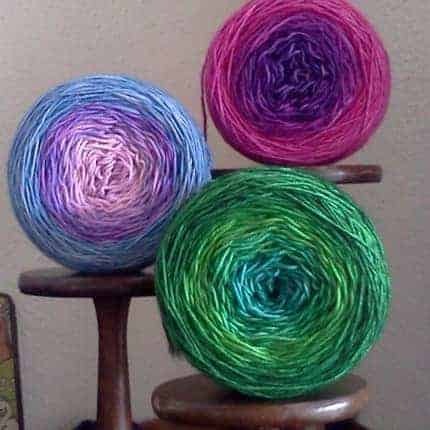 PLEASE make sure that you purchase the appropriate listing; if you aren’t a ticket holder, don’t buy from the TICKET HOLDERS listing, and if you want to pick yarn up at the show, don’t buy yarn from the SHIP IT TO ME listing! Preorders will close on September 25, 2018. It’s been too long since I’ve posted over here, but I promise you all that’s about to change. First up, I’d like to let you all know that I’ve added another collection to my Etsy shop. 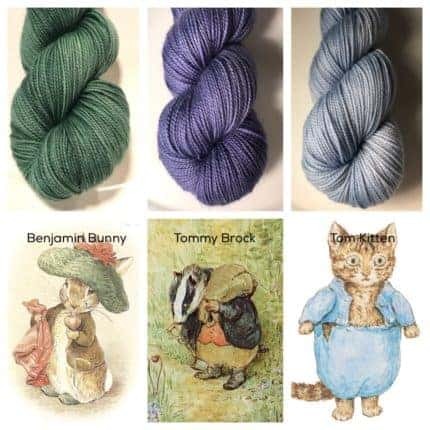 In addition to the 30 colors in my Downton Abbey inspired collection and the 24 colors in my Jane Austen inspired collection, I’ve got 24 Beatrix Potter inspired character colors now in my Etsy shop. All of the colors in each collection are dyed to order, and available on your choice of bases. Please pop over and check them out! 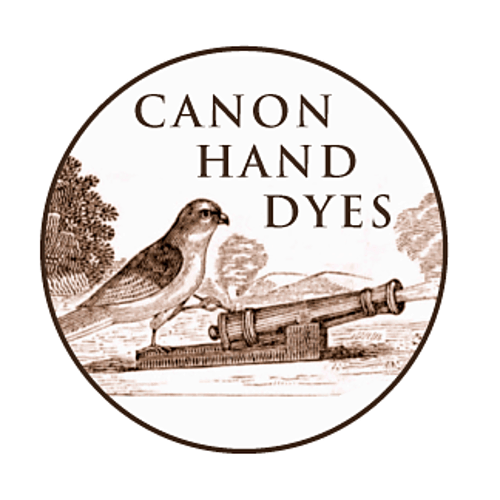 Canon Hand Dyes is thrilled to announce the launch today of an IndieGoGo campaign to help fund a studio move and expansion. 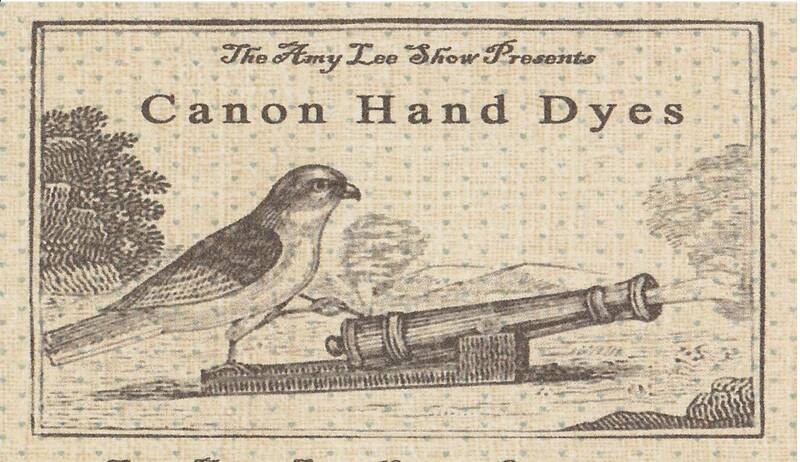 I started Canon Hand Dyes in 2011 in the kitchen of my apartment, and have slowly grown, and grown, and grown. I am still a one woman operation, and am badly in need of a larger studio and at least one more set of hands to help me do what you all love, but faster! 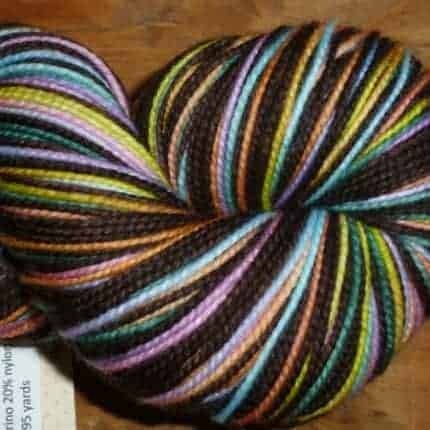 There are perks that all of you self-striping sock lovers and mini skein addicts will love, so please check out my campaign here! 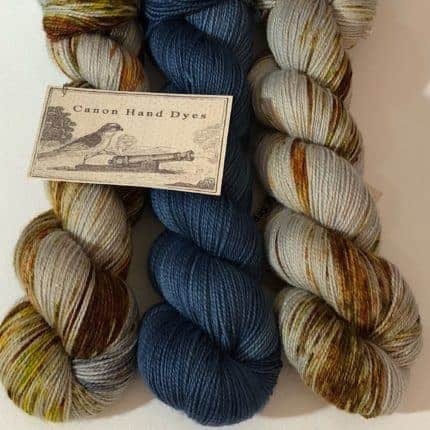 Canon Hand Dyes is a Portland, OR-based company, specializing in self-striping yarns and mini-skein sets with a literary twist. I do a few updates every month in my Etsy shop, and most months have a “Book of the Month” theme to the updates. 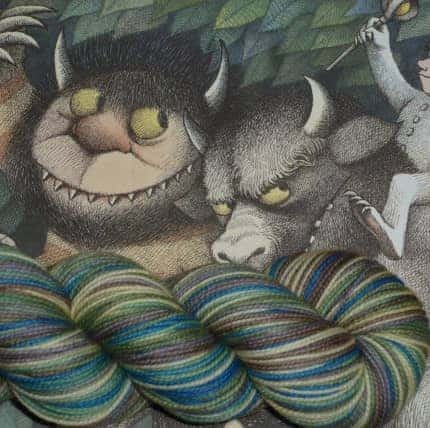 I am currently finishing up my Babar updates for April, and May will get slightly away from the literary theme, straying into motion pictures with Wes Anderson films being the theme for all of my self striping yarns and color work sets. 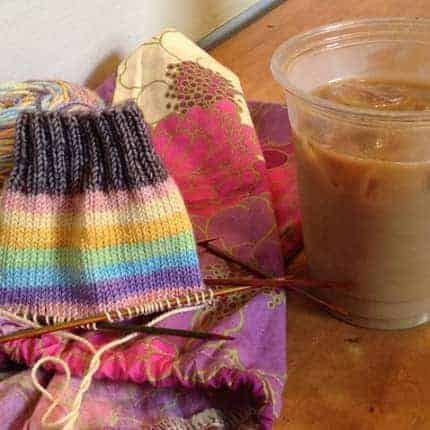 In addition to my Etsy Shop self-striping updates, I have a full collection of repeatable solid colors in the shop at all times. 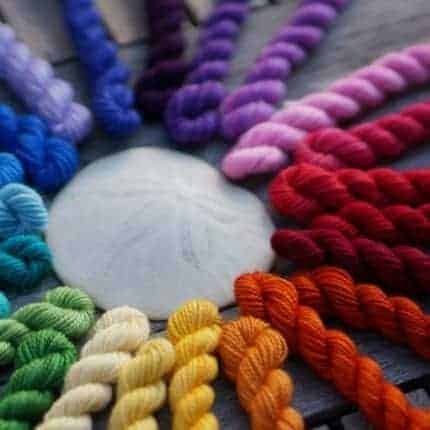 The collection is inspired by Downton Abbey, and all 30 colors in that collection are dyed to order in any amount from a single skein to a sweater quantity. 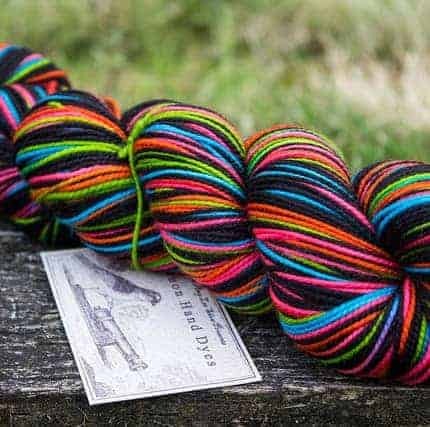 Please join me over on Ravelry in my Canon Hand Dyes group for more information on shop updates, clubs, KALs, and other announcements.